Bateel USA provides catering services for all occasions and event sizes. Our trays and platters have been offered at events such as weddings, corporate events, private dinner parties, graduation parties, retirement dinners, birthday and anniversary celebrations, baby showers, and bridal showers. 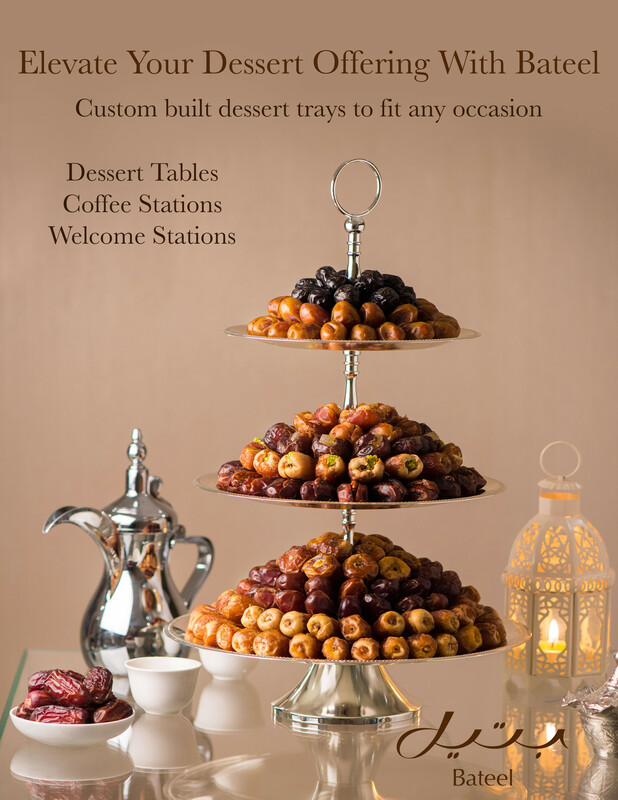 We prepare elegant trays filled with an assortment of of plain and filled dates, origin chocolates, date chocolates, and fine butter cookies and biscuits. We are able to ship a wide selection of trays nationwide. Please contact us at info@bateelusa.com and we would be delighted to provide a quote for your specific needs.